Suggested by Novitherm Canada Inc. and Energy Star. What can you do to reduce energy consumption and greenhouse gases? NOVITHERM CANADA INC. encourages all property owners to check with your local government and utilities for incentives relating to energy efficient programs. Example: In Ontario, Canada see Enbridge Gas Distribution. Green energy efficient buildings are more appealing to discerning tenants! An environmentally friendly building improves tenant/landlord relationships, this can lead to further environmental initiatives which increases tenant loyalty and occupancy. As a home owner or tenant, there is all probability that you will use at least one of the three energy resources to heat or cool your home, light your home, heat your water, cook your food. The three most common energy resources are electricity, gas and oil – all of which are resources that we must continue to find ways to reduce consumption to reduce greenhouse gases and reduce costs. FACT: The energy used in the average home can be responsible for more than twice the greenhouse gas emissions of the average car. When you use less energy at home, you reduce greenhouse gas emissions from power plants and help protect our environment from the risks of global climate change. The following are 10 reliable energy saving tips approved by Energy Star that Novitherm Canada Inc. would like to share with you. To save the most energy and money, replace your highest used fixtures or the light bulbs in them with energy-efficient models. The five highest use fixtures in a home are typically the kitchen ceiling lights, the living or family room table and floor lamps, and outdoor porch or post lamp. ENERGY STAR qualified lighting fixtures and replacement bulbs can be found at home improvement and hardware stores, lighting showrooms, and other retail stores, including on-line outlets. The smallest things can add up to a real difference. We encourage you to change out the light fixtures or bulbs at home that you use most with ENERGY STAR qualified models. 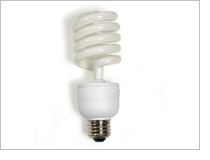 If every household in Canada changed just one traditional incandescent light bulb to an ENERGY STAR labelled CFL, the country would save over $73 million in energy costs every year and reduce GHG emissions by 397 000 tonnes of carbon dioxide (CO2) – which would have the same impact on climate change as taking 66 000 cars off the road for one year. Did you know that the average home spends about $2,000 on energy bills every year? Change to appliances that have earned the ENERGY STAR, and you can save $75 a year in energy costs, while saving the environment. When buying an appliance, remember that it has two price tags: what you pay to take it home and what you pay for the energy and water it uses. ENERGY STAR qualified appliances incorporate advanced technologies that use 10–50% less energy and water than standard models. The money you save on your utility bills can more than make up for the cost of a more expensive but more efficient ENERGY STAR model. 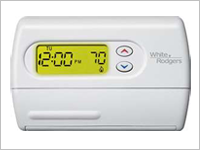 Home electronic products use energy when they’re off to power features like clock displays and remote controls. U.S. households spend $100 per year to power devices while they are in this “standby” power mode. Products that have earned the ENERGY STAR use less energy to perform these functions, while providing the same performance and features as conventional models. Using less energy preserves energy resources and helps reduce the risks of global warming while saving money on energy bills. Simple actions can make a big difference. The average home has two TVs, three telephones, and a DVD player. If these items were replaced with ENERGY STAR qualified models, it would save over 25 billion pounds of greenhouse gas emissions, equivalent to that of more than 2 million cars. If every room air conditioner sold in the U.S. were ENERGY STAR qualified, it would prevent 1.3 billion pounds of greenhouse gas emissions – the equivalent emissions from 115,000 cars. Earning the ENERGY STAR means a product meets strict energy efficiency guidelines set by the U.S. Environmental Protection Agency and the U.S. Department of Energy. 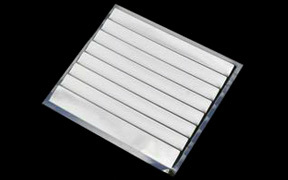 ENERGY STAR qualified room air conditioners use at least 10% less energy than conventional models. ENERGY STAR qualified room air conditioners often include timers for better temperature control, allowing you to use the minimum amount of energy you need to cool your room. ENERGY STAR qualified office and imaging products use as much as 60% less electricity than standard equipment. And using less energy keeps utility costs down. Over the next five years, these products will save Americans more than 5 billion dollars. Remember, saving energy prevents pollution. By taking a “whole system” approach and looking at the computer, its use, and components, these new specs will reduce the greenhouse gas emissions equal to about 7 million cars. One of the best ways to save energy is through the use of energy efficient shower heads. These shower heads save water and energy. They do this by decreasing the amount of water that flows through to the person in the shower. 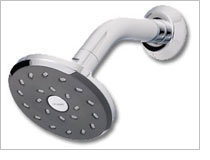 Energy efficient shower heads save water by reducing water flow. As a result of reduced water flow there may be less water pressure in the shower. 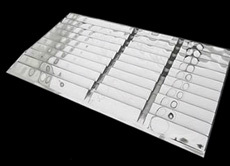 Decreased pressure is one of the reasons why some people do not like to use these shower heads. The average older house is poorly insulated and losing a significant amount of heat through exterior walls behind water heated radiators and convectors. By installing Novitherm Heat Reflectors, you will immediately improve your comfort, reduce your heating costs and lower your energy consumption by approximately 10%. If 300,000 older homes were to install Novitherm Heat Reflectors, it would reduce Greenhouse Gases by 110,354 tonnes per year!! !